Ian Fleming has played ‘a huge role’ in his life and he said he is keen to acknowledge this. 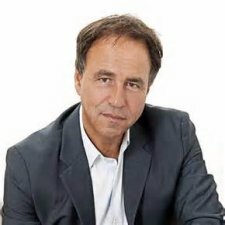 James Bond continuation author Anthony Horowitz proved to be a highly entertaining, thoughtful and self-deprecating guest when he was interviewed in front of an enthusiastic audience of 007 aficionados at the Southbank Centre (Royal Festival Hall) in central London on June 1st. The JBIFC’s news editor Steve attended the event and provides a nice summary below of the evening’s main features and key revelations. On a sultry Friday evening, the hugely successful author of Trigger Mortis (2015) attended a special interview and book-signing session to help launch and publicise his exciting new 007 adventure Forever And A Day (Jonathan Cape, 2018), which is a kind of ‘prequel’ to Ian Fleming’s very first James Bond novel Casino Royale. Held in the Level 5 Function Room of the Royal Festival Hall, appropriately against a backdrop of the famous London Eye and nearby River Thames, the wide-ranging interview covered the creative process, influences and background details to the production of Mr. Horowitz’s latest novel, and the best-selling author gave some surprisingly revealing answers, both to his interviewer and also in response to a number of interesting questions from audience members in the ‘Q and A’ part of the evening. Organised in conjunction with Foyles Bookstore (which had a sales stand in the foyer of Level 5), another highlight of the evening was a post-interview book signing session by Horowitz, who was very generous with his signing time and was also happy to chat to the waiting fans and pose for photos. By way of introduction, the Southbank’s host interviewer pointed out to the attentive audience that this is Anthony Horowitz’s second James Bond novel, and comes three years after the best-selling Trigger Mortis. And the author’s dive into the Bond pool has proved to be enormously successful, with his first 007 novel Trigger Mortis staying for weeks in the best-seller lists. In a sense, Horowitz had been waiting in the Bond continuation author wings for a long time, hoping to be asked to finally pen a 007 novel, and now his dream had come true (twice!). And twice is the only way to live. (Indeed, Horowitz himself also hinted that he would be interested in a third, if asked. But more on this later). The special evening commenced with a rapturous round of applause for the popular author as he took his chair. Responding to some close questioning from the interviewer, Horowitz started off by reflecting on the origins of James Bond and also on his own love affair with Ian Fleming’s hero and novels, a series of books which Horowitz regards as exceptionally well-written. He pointed to the incredible cultural impact that Fleming’s creation had also exerted on the post-war world, especially on a rather grey Britain which was just recovering from a period of shortages, rationing and relative loss of power in the world. Horowitz cited a letter penned by Ian Fleming, where the Bond creator had written to the real-life Mrs. James Bond, a letter in which Fleming had ‘sort of apologized’ (in a humorous way) for having ‘borrowed’ the name of her American husband, James Bond (who had been a relatively unknown expert on the birds of the West Indies). In the letter, Fleming said he recognised how he had made the rather innocuous name ‘James Bond’ into one of the most famous names in the world and, in return – and by way of recompense – he said he would offer Mrs. Bond’s husband ‘unlimited use’ of the name ‘Ian Fleming’! 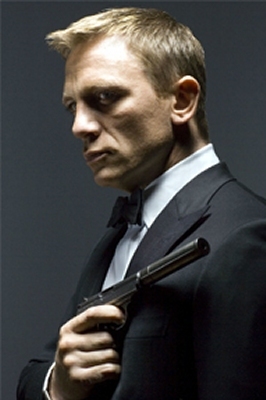 ‘James Bond’ had become a global brand, and had become one of the best-known fictional secret agents in popular literature. 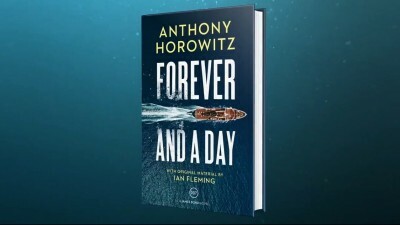 Horowitz talked about his own schooldays and about when he first encountered the world of James Bond: he had discovered the work of Fleming via the film tie-in printing of Dr. No in 1963, and the book proved to be his temporary escape from the horrors of prep school (he disliked his schoolday experiences intensely). Bond, and his escapist adventures, offered ‘a whole new world’. Horowitz also recalled seeing the movie version of Dr. No and the memorable moment when Ursula Andress emerged from the sea, a truly iconic moment which left a big impression on the young schoolboy. This experience put Horowitz on to Fleming’s other books. And, on reading the books avidly, the young Horowitz quickly realised there was another world – an exotic and exciting world of thrills and danger. His discovery of Fleming, he said, also put him on to the world of general thriller writing. And, mainly due to Ian Fleming, Horowitz realised that he also wanted to write books to thrill audiences. Asked to reflect on any other influences apart from Fleming, Horowitz said he had been inspired also by two other characters above all: firstly, Herge’s Tin-Tin and all the adventures that the young Belgian schoolboy detective had been involved with. Horowitz said, in particular, as a youngster, he had been fascinated himself by secret passages and secret panels, and every time he had visited a mansion he had spent time tapping curiously on the walls to see if he could find any such passages! The adventures of Tin-Tin seemed to be full of this kind of secret intrigue and mystery. He recalled one Tin-Tin adventure where a tree had opened up to reveal a secret spiral staircase leading down into the ground, which had seemed (to the young Horowitz) like something straight out of a Bond story (Horowitz, of course, later on in his career, penned some Tin-Tin screen treatments for the director Steven Spielberg). The other big influence on Horowitz’s writing career, he said, had been Conan Doyle’s fictional detective Sherlock Holmes – he loved the Holmes stories. Again, later in his career, he had been given the fantastic opportunity to write two brand new Sherlock Holmes adventures, which had been a real pleasure for him. And, he revealed, he will pen a third Sherlock Holmes novel in the near future. Horowitz said that, when he had been offered the chance to write a Holmes book, he had taken about ‘half a minute’ to accept! So, Bond, Tin-Tin and Holmes: all three characters were inspirational, and he was able to work on all three in later life. He felt very privileged to be able to do so. Returning back to the world of 007, Horowitz told his interviewer that James Bond was ‘irresistible’ as a fictional character. When he writes a Bond book, Horowitz said he imagines trying to ‘stand back’ and ‘be invisible’ in order to do justice to Fleming and his writing style. Horowitz said he would never fundamentally alter the character of Bond – for example, he would not stop Bond smoking. He also recognised, and wanted to capture, some of the sheer pain that Fleming put his creation through. So, in terms of the storyline structure to Forever And a Day, Horowitz had ensured that there were some gruesome and drawn-out moments of this kind: there is a killing in chapter 1, and also a killing in the final chapter. What comes between these two points, said Horowitz, is the story of Bond ‘becoming Bond’. Horowitz also admitted he liked thinking up ‘interesting deaths’! Returning back to this theme during another stage in the evening, Horowitz said the Young Bond author Charlie Higson had also spoken to him at one point in Istanbul, and advised that Bond ‘must get really hurt’, as it is a feature of most of Fleming’s 007 books. 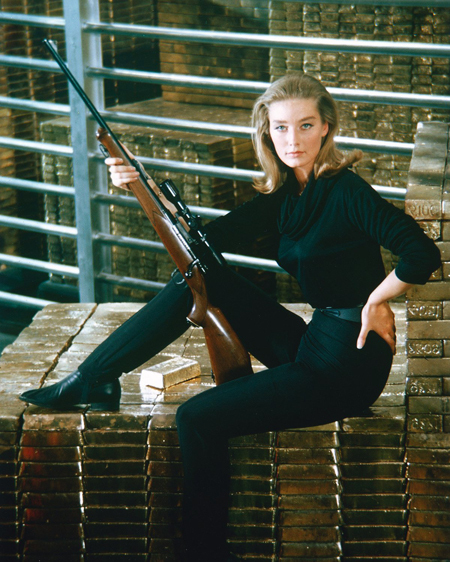 There is a lot of physical pain going on in the Bond stories. Regarding the other key characters in the new book, Horowitz said he wanted to pen a ‘fun book’, which was a lot of fun to write, and also would be fun to read. But creating new and interesting characters in a Bond story was still challenging, and the villain, in particular, is ‘hard to get right’. Fleming had always been good at giving his villains memorable quirks or features. In this case, the main villain of Forever And A Day (Scipio) is especially fat due to a childhood trauma, and Horowitz had had to do some careful research to get the details of the condition correct. Similarly, he said, the main ‘female associate’ (publishers today tend to discourage the use of ‘Bond woman’) in a 007 story is also hard to get right. 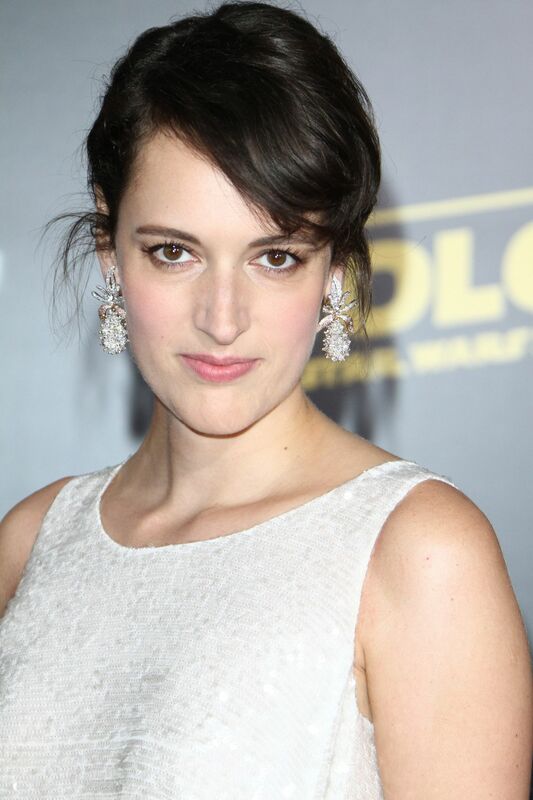 Horowitz said, in this case, his creation (named ‘Sixtine’) had to be a match for Bond: very smart, tough and a woman for the ‘Me Too’ generation. Furthermore, Sixtine was instrumental in other ways: she helped ‘shape’ Bond into the man he became, and helped him develop a taste for certain things, such as (what eventually became) his favourite Morlands cigarettes. Interestingly, Horowitz (who sits on the Board of the Old Vic Theatre in London, which has to raise its own money), said that a woman in the book named Joanne Brochet is based on a real person: Joanne McPike, who had made a substantial charitable donation to the Old Vic via an auction. She was one of the two who had won the auction. The deal was that, in return for doing so, she would appear as a character in the new Horowitz Bond novel. And, much to Horowitz’s delight, McPike had led a very interesting life, and he had been able to take some key features from her life and invest them in the fictional character in the novel. Apparently, there is also another real-life person who has a presence in the new book, who had also made a donation to the Old Vic and won a role in the book, and had (in essence) ‘paid to be killed’! Horowitz also offered some revealing comments on the creative processes involved in writing the new 007 novel, which is set (he said) only three months or so before Casino Royale. In particular, he had to find things that could happen to Bond that hadn’t been done before by previous authors – this was difficult, as many things had been done already. Moreover, Ian Fleming had a style and a language that was very difficult for other authors to do. This included capturing certain features of Bond’s own personae. Bond, Horowitz pointed out, has ‘accidie’: a tiredness with the world. This was one of the hardest things to get right, as well as 007’s fastidious tastes in food. Bond’s breakfast, for example, was one of the most important times of his day, and he had developed a ‘ritual’ around this. This was because, Horowitz suggested, Bond wanted ‘order’ before approaching the ensuing ‘chaos’ of fighting villains. The post-interview ‘Q and A’ section also proved very interesting for the evening’s keen audience, and Horowitz did his very best to respond in detail to most of the questions asked. He also pointed out that it was one of those rare occasions where the audience knows much more about the subject than the author! However, he rose to the challenge really well. At one point, when asked about the time context of Bond, Horowitz said he felt it was important to have Bond placed in a ‘Cold War context’. It was a world that had only just emerged from the struggles of World War Two (and Fleming himself had been a wartime Intelligence officer), and it was a world where lots of British people were beginning to hanker after luxury goods and exotic holidays abroad after years of tough rationing and personal sacrifice. Bond, especially as written by Fleming, had offered the post-war reading public a glimpse of a life ‘that could be’, a vision that gave them hope – a life of sun, better wages, better quality consumer goods and plenty. In reference to who he saw as Bond in his mind’s eye when writing about the character, Horowitz admitted he tended to see Sean Connery’s face when picturing Bond, with perhaps a bit of Daniel Craig in there, too, to give his writing some ‘extra edge’. On the question of whether Bond is still ‘relevant today’, Horowitz reminded the audience that Bond ‘is a fantasy character’, and the question is actually very difficult to answer. The Bond films, although brilliant, had (in a sense) got in the way and made people forget the brilliance of the books and how Fleming had made the character relevant for his particular time. Horowitz added that he had read something recently which had impressed him a lot and captured the core of the Fleming books: Ian Fleming had ‘technologised the fairy-tale’, which Horowitz thought perfectly summed up what the Bond creator had achieved. On the question of his own favourite characters in the 007 books apart from Bond, Horowitz said he was very fond of Auric Goldfinger as a character, but his particular favourite was a woman who had not died: he adored Rosa Klebb. Given the chance, he said, he would bring Klebb back. 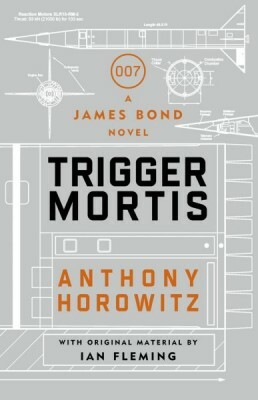 Regarding the unused Fleming material that he had been able to use in both Trigger Mortis and Forever And A Day, Horowitz explained that Fleming had written ‘quite a lot’ of treatments for a proposed Bond TV series (which, of course, did not happen), and had eventually used some of this material himself. But when the Fleming Estate had gone through the Bond author’s papers a few years ago, they had come across five unused treatments. Horowitz was able to use one of these (‘Murder on Wheels’), which had dialogue – almost word for word – for one of his chapters in Trigger Mortis, while another treatment (which was narrative only) was utilised for the new Bond novel. He revealed that there are still three more treatments to go that could still be used, including one set in Australia and another in the USA. In fact, Horowitz said it had given him ‘real excitement’ to personally go through this material, and also through the original typescripts of Fleming’s novels, with their annotated notes by Fleming himself, and this had made Horowitz feel ‘very close’ to the author, and had helped him try to capture the core of Fleming in his own work. On the tricky question of titles for the Bond books, Horowitz acknowledged that this challenge was ‘a nightmare’ – coming up with a suitable title for a new Bond book was ‘very difficult’. He noted Fleming had been very good at it, but even the Bond creator had found it difficult at times. Fleming loved puns in his book and chapter titles, and his titles were often based on familiar titles and sayings e.g. ‘Live and Let Die’, ‘Crime de la Crime’, and so on. Horowitz said he had liked Jeffery Deaver’s Carte Blanche as a title and wished he had thought of that one! He said getting the title right for the new book was one of the ‘hardest parts’ of the whole experience. Forever And A Day had been one of three possible titles for the new novel, which had all been submitted to the Fleming Estate for possible consideration. One of the three possible titles had been Towards Double-Zero, which Horowitz had been quite fond of, especially of the word ‘Towards’. But the Fleming Estate had felt (in the end) that that particular title did not quite work, and they preferred Forever And A Day. On his future writing plans, Horowitz revealed that he will write another Alex Rider spy book, entitled Nightshade, as part of his hugely successful Rider series (19 million copies have been sold worldwide), a book which he will work on next year. He said he also wants to do ‘one more’ Sherlock Holmes book, to add to the the two he has already written (The House of Silk and Moriarty). He was especially interested in the reference to the ‘Rat of Sumatra’ in one of the Conan Doyle Holmes stories. 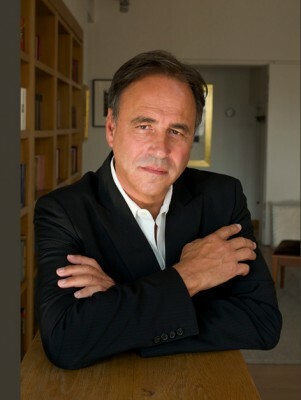 I thoroughly enjoyed listening to Anthony Horowitz. I thought he has a great sense of humour, and it was really satisfying to be able to thank him afterwards for the hours of pleasure he has given me through his books, both Bond and non-Bond. After getting my copy of his new 007 adventure signed by him personally, and shaking his hand, I left the Level 5 foyer even more convinced that Horowitz is perfect for his role as Bond author and as keeper of the Fleming flame. 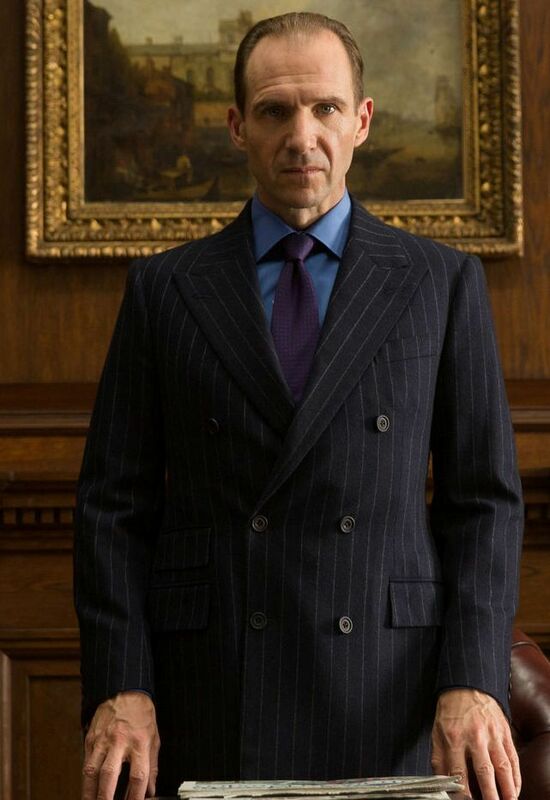 A fan’s dream would be to have Mr. Horowitz explore the possible family relationship between James Bond and Sherlock Holmes. Great article, Steve. Glad that he was so open and revealing. He sounds a genuinely nice guy. Hopefully Anthony will carry on with the Bond novels for the foreseeable future.